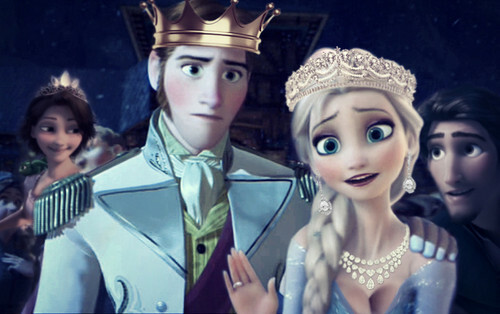 फ्रोज़न and टैंगल्ड. . HD Wallpaper and background images in the Hans club tagged: frozen tangled elsa hans flynn rapunzel queen king photoshop edit crossover cute pairing shipping ship.